Add dazzle to jewelry-making projects. Fun on their own or mix with non-glow beads. Boys and girls love their glowing creations! Approx. 700 per 1/2-lb. bag. Add extra dazzle to all of your jewelry-making projects with beads that shimmer and glow. Easy-to-string plastic beads measure 6 x 9mm. Approx. 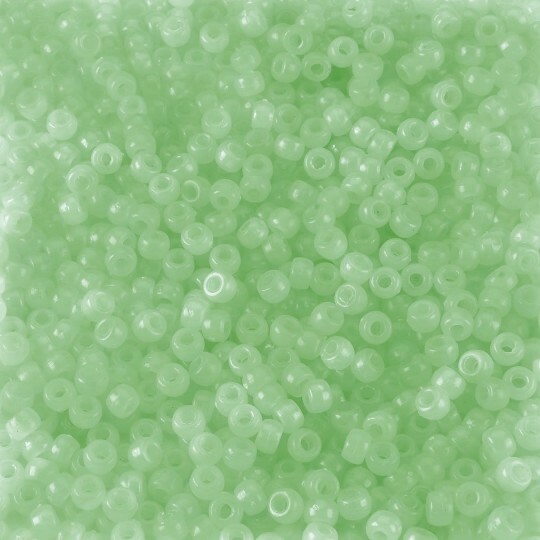 700 beads per 1/2-lb. bag. These were so much fun to use while making bracelets and necklaces at our summer camp. Our Campers look forward to making BEADIE Key Chains each year matching our theme. We have purchased nearly every color over the years. Fortunately for this year there were GLOW IN THE DARK pony beads to make our ALIENS the best ever. SS also carries the very high quality RAT TAIL CORDING and hooks to complete the project. HINT: cut the cord to project size and dip ends in glue to deter fraying. So happy to find a huge bag of glow in the dark beads the kids at camp love them they will disappear fast.